Located right in the Village of Chama! All the amenities of town at your fingertips with the feeling of being a million miles away. An exclusive fishing resort. 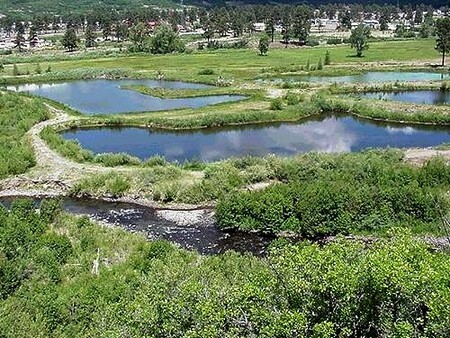 Greenbelt Areas on 1.5 miles of the Chama River, 1/2 mile of Little Willow Creek and 15 bountiful lakes stocked with Bass, Rainbows and Brookies! Elk, Deer, Bear, Beaver, Migratory Canadian Geese and Great Blue Herons are your closest neighbors.